We’ve also hit the two-week changeover on the Epic Games Store, which means yet another free game. This time around it’s Transistor, Supergiant’s cyberpunk tactics-lite game. It’ll be free through May 2, at which point the offer will change over to the oft-given-away World of Goo, for the five people who still don’t own it. Speaking of Assassin’s Creed, 2018’s sprawling Ancient Greece-themed Odyssey is still working through its episodic post-release content plan. The second expansion, The Fate of Atlantis, will start releasing April 23 and add two more episodes later in the year. As you might surmise from the title, this is the more high-concept of the two expansions, taking players to the Greek afterlife to meet up with Cerberus, Ares, Venus, and other mythological figures. Given how much I loved Origins’s similarly themed Curse of the Pharaohs, I have high hopes. Then there’s Halo: The Master Chief Collection. Originally we’d heard that the first game, Halo Reach, would be on PC sometime in April. Now…well, it’s April 19, and in case you haven’t noticed there’s no Halo on PC yet. The 343 publishing team’s noticed, at least, and put out a statement this week saying it might slip to next month. The exact wording is, “Previously I’ve said that ‘If things go according to plan, flighting should begin this month.’ As we’re now in the back half of April, I’m still optimistic this will be the case but it’s also possible those plans may not fully land as we initially hoped.” According to 343, “PC is considerably more complicated [than the Xbox One] and requires a lot more work.” I’d wager a May release at this point, but we’ll see. We’re less than a week away from the release of Mortal Kombat 11, which means the deluge of trailers is aaaaaalmost over. Netherrealm’s saved the best for last: Those who preorder the game will get access to the ex-Emperor of Outworld, Shao Kahn himself. This week’s character trailer is happy to show him stomping on some skulls and thwacking people with his hammer. There’s also a story trailer, though I’ll admit I’m not watching this one. I feel like plenty of great moments have already been shown, and I’d like to keep at least a few for the game itself. It’s been almost three years since the last Star Wars: The Old Republic expansion, and I’d kind of assumed there just wouldn’t be another. In this era of games-as-a-service, three years is a millennia. That’s like, what, fifty Fortnite seasons? But I was wrong, and 2019 will see the release of a new Onslaught expansion, featuring two new planets, a new Flashpoint, a new Operation, an increased level cap, new abilities, and a story that pits the Sith Empire against the Galactic Republic on the planet of Corellia. You can find more details here, if you want ‘em. Otherwise, look for it in September—free for subscribers. Doesn’t mean it’ll happen, but keep your fingers crossed and you might see Darth Revan on the big screen someday. Lego Star Wars still might be my favorite Lego game. It isn’t the best, nor the most ambitious, but it did the whole formula first—and given how formulaic those games were, that means a lot. But there’s been a lot more Star Wars in the years since, so it might not surprise you to hear there’s a new Lego Star Wars game…maybe in the works? And maybe releasing this year? Again, this comes courtesy of an interview at Star Wars Celebration, this one with Skywalker Sound’s Matthew Wood, who seemingly revealed the game’s existence in an offhand comment. For what it’s worth, Eurogamer then confirmed the project later in the week, saying it will span all nine films, “the ‘ultimate’ Lego Star Wars game,” as Eurogamer puts it. Of all the remasters and remakes this generation, I’ll admit: I didn’t expect to see XIII among them. The shooter was generally well-regarded at the time, sure, but mostly for its comic book art style and neo-noir trappings. It’s not necessarily a game you’d expect to get cleaned up and re-released 15 years later. And yet that’s what PlayMagic has done, with a new XIII release set for—appropriately—November 13. Check out the trailer below, though it doesn’t show much. That Witcher adaptation at Netflix is a lot closer than I anticipated. Seems like just yesterday we saw Henry Cavill in a terrible wig, and now Deadline’s reporting that it will launch in the fourth quarter of 2019. That’s just six months away! As for what it covers, let’s turn to Deadline: “The series…follows a solitary monster hunter struggling to find his place in a world…” Sounds like a Lifetime TV movie, no? A pleasant coming-of-age tale, with the occasional striga to fight. Last but not least, Square Enix confirmed Octopath Traveler will make its way off the Nintendo Switch this year, arriving on PC on June 7. 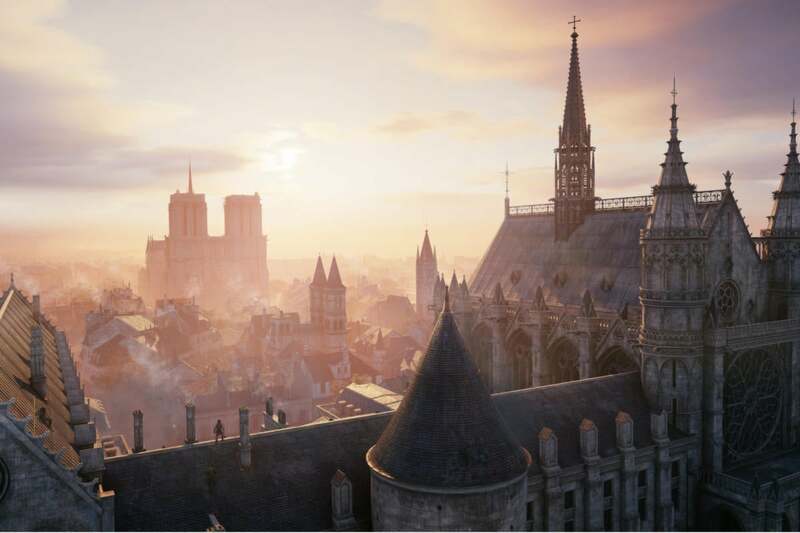 It’s not necessarily the type of game I’d want to play on PC, but I’m all for games coming to PC regardless. Check out the trailer below, or just go watch someone’s Switch run-through if you want a better idea how it plays. External hard drives have been steadily dropping for months, but this deal is one of the best we’ve ever seen: Best Buy is selling a 10TB WD Easystore hard drive for just $160Remove non-product link, down from a list price of $300 and just $0.016 cents a gig. This hard drive’s 10TB of storage provide plenty of room for photos, music, documents, and any other files you need. A USB 3.0 connection with backward USB 2.0 compatibility allows for plug-ins from a variety of devices for easy file transfers. 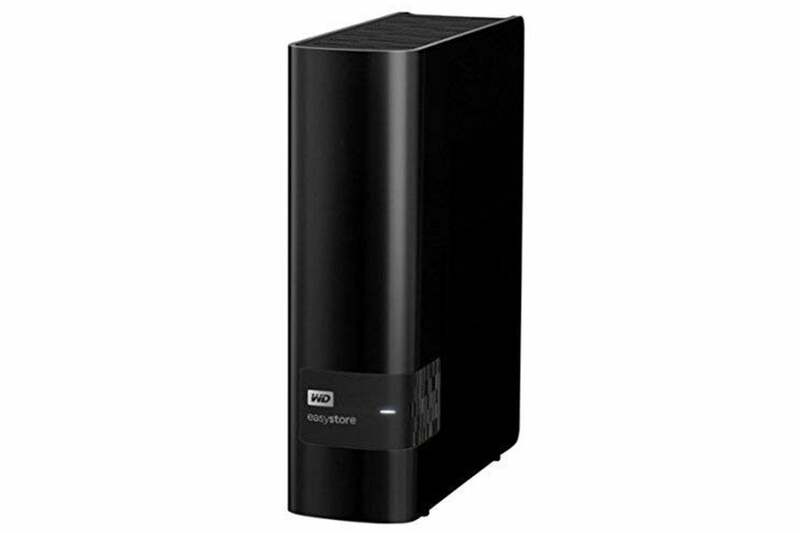 In addition, included WD Backup and WD Discovery software helps navigate through files and save them securely. We previously spotlighted this drive in February when it was $170, but this deal brings it even lower. If you’re looking for more features or portability, check out our roundup of the best external drives. Windows 7 and 8.1 computers can fall prey to the bug, along with some Windows Server installations. Windows 10 PCs don’t appear to be affected. Affected computers either freeze outright or start acting abominably slow when you attempt to log into Windows. You can skirt the issue by booting into Safe Mode, disabling your antivirus, and rebooting your system normally. If you need to do that, get your PC’s guard back up by activating Windows Defender in Windows 8.1, or downloading Microsoft Security Essentials for Windows 7. Both provide free real-time security for your computer. Alternatively, you could buy an antivirus solution from an unaffected vendor. 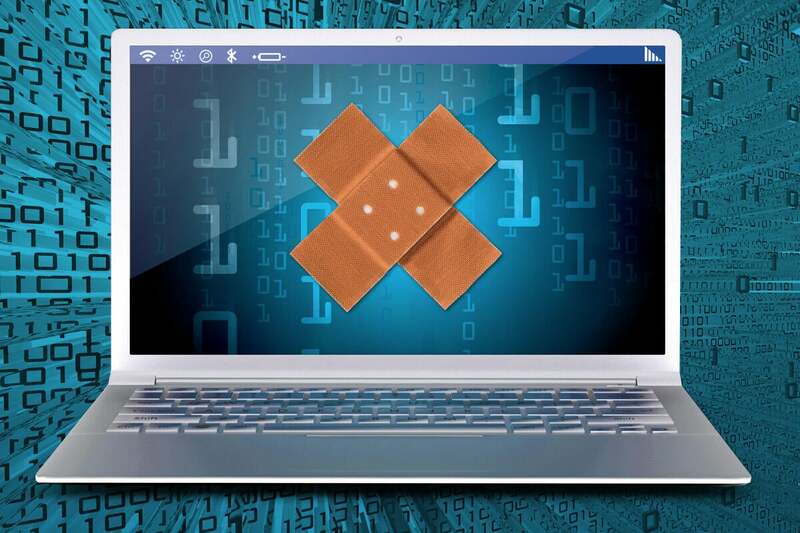 Some of the affected antivirus vendors have already posted workarounds or updates for the problem. Microsoft’s issue tracker for the borked update includes links to the support pages created by AV vendors about this issue. As Ars Technica notes, the support pages from Avast and McAfee hint that the problem stems from changes made to the way Windows handles its Client Server Runtime Subsystem (CSRSS). Microsoft’s tinkering with core system components have recently caused other headaches with software that sinks deep hooks into your operating system. Windows Insider preview builds for the next major Windows 10 update, releasing in late May, suffered from “Green Screens of Death” if you ran a game with built-in anti-cheat software. Microsoft has been working with anti-cheat software vendors like BattlEye to correct the issue before the May 2019 Update’s final release. The new ConceptD product line Chen introduced at next@acer is the company’s first big example of this mantra. Aimed at creative professionals, and sporting interesting design elements as well as top-shelf hardware, Chen calls ConceptD a “lifestyle” brand. He explained that the ConceptD hardware’s polished design and unusually quiet fans will make the PCs both distinctive and a true pleasure to use. It’ll be interesting to see where the company goes with this. Acer’s onto something by blazing its own trail rather than chasing the leaders. On the other hand, the only company that’s successfully created an entire lifestyle around its products is Apple. That’s a challenging example to follow. It would be great if we all could afford 4K G-Sync monitors, but sadly that’s not the case. 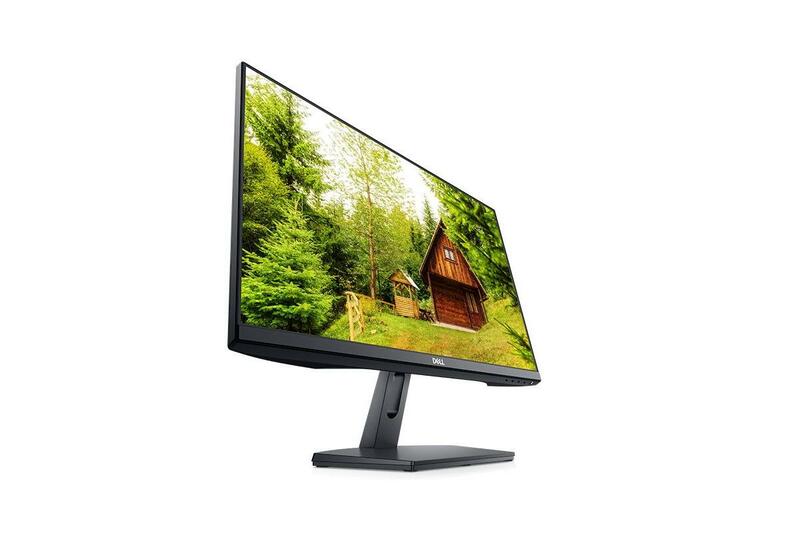 So if you’re looking for a fantastic deal on a much more basic display, Dell is selling a 24-inch 1080p monitor for $110Remove non-product link, a near-50-percent savings from its $200 MSRP. And to sweeten the deal, Dell will throw in a $50 gift card, effectively bringing the price down to $60. The SE2419H (seriously who names these things?) is a pretty standard monitor, but it gets the job done. For starters, it has a very thin bezel, so if you want a dual-monitor gaming set-up it’ll look good. With a 1920 x 1080 resolution, it has a five millisecond response time and a 60Hz refresh rate, but lacks adaptive sync tech such as FreeSync, as you’d expect for this price. For ports it’s offering one HDMI 1.4 and one VGA and it tilts between -5 and 21 degrees. There aren’t any bells or whistles beyond those specs, but it’s a solid display. As for the $50 Dell eGift card, Dell says you’ll receive it via email within 20 days of purchase, and it expires in 90 days.